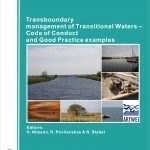 Good Practice Code of Conduct is dedicated for the reinforcement of Transitional Waters environmental integrity in the South Baltic Area. A regional model for the reinforcement of the environmental integrity of SBTWs helps to strike an operational balance between EU requirements for MSP, WFD and ICZM from two perspectives – first, of the cross-border cooperation and second, of the environmental integrity of river basins – TW – open sea. It is aimed to collate the best practices and actions relevant for this purpose, mainly the cross-border coastal river basin management, ICZM and SEA procedures in every TW area and to develop a coherent regional innovative knowledge pool for proper reinforcement of the environmental integrity of the SBTWs. This activity is critically important for achieving the major specific project objective – deliver adequate methods, instruments and skills addressing the specific regional needs for cooperation on management and maintenance of environmental integrity of the SBTWs. In the process of the development of the Code of Conduct not only the best experience from the ARTWEI project applied, but also from other cross-border cooperation projects in other TWs of Europe, relying on the added value of the rich expertise pool of EUCC – The Coastal and Marine Union. Experience in the cross-border cooperation for the reinforcement of environmental integrity of the trilateral Wadden Sea area (The Netherlands – Germany –Denmark) is of particular value. Polish version of Code of Conduct can be downloaded here.